Thanksgiving is just over a week away. I really can’t believe that it’s already here. To be honest, I am so far from being prepared for the holidays, but they are coming, so apparently it’s time to get in gear. 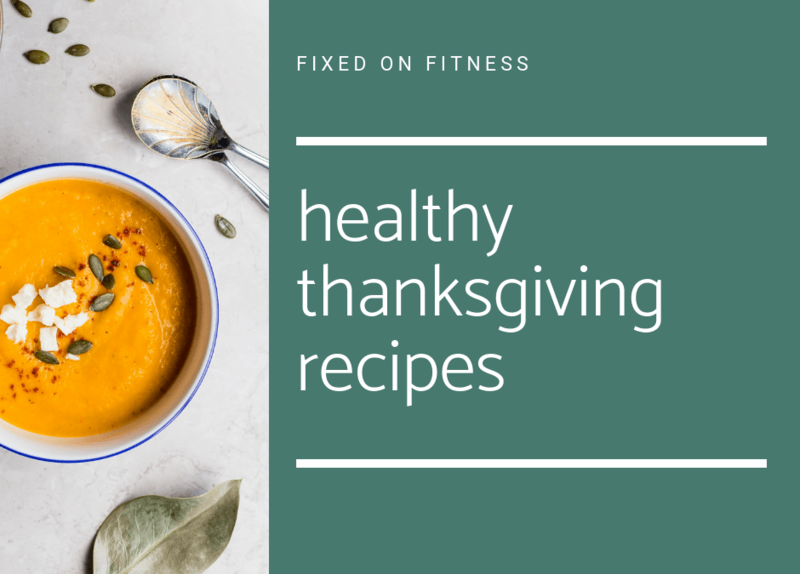 I can’t handle a complete all out food bender, even if it is just one meal, so I have some healthy Thanksgiving recipes that help me balance out the few not so healthy dishes that I choose to indulge in. This year, I am so thankful that my mother in law has offered to cook for us. Her stuffing is amazing….it’s not even close to good for you, but I am going to eat it and love every bite. So, to go along with the not so healthy items, we will be cooking up some sides that aren’t loaded with bread or crackers. This weekend, we cooked up a primal friendly pre-Thanksgiving feast, and today we are sharing the healthy Thanksgiving recipes we tried, along with some of our long time favorites. I am not including recipes for turkey or ham…those are usually pretty standard, and since I’m not a chef, I’ll let you go out on your own for these :). I love to make finger food. Appetizers are one of my favorite things in the world. This year, I am bringing salami wrapped asparagus as my contribution to the appetizer table. It is always a crowd pleaser, and it’s so easy to make. If the asparagus doesn’t sound amazing, here are a few other ideas if you are in charge of appetizers. Not everyone incorporates a soup or salad for Thanksgiving, but over the years, I have found that they both go over very well. With the overload of heavy, rich food, a simple soup or salad can provide a light, refreshing replacement for yet another casserole. The fall salad with butternut squash is my all time favorite fall salad. The flavor combination is incredible, and it’s also pretty filling. Sides can be tough. Casseroles are great, but how many cracker and butter topped casseroles do you really need at one meal??? In our mock Thanksgiving meal, I made sweet potato casserole, Brussels sprouts au gratin, and green bean casserole. Each one of these recipes turned out absolutely delicious. They were approved by our kids, and they were not too labor intensive. Let’s just go ahead and talk about my favorite part of the meal…dessert. I am a sucker for pretty much all things sweet. Thankfully, I have found some winners that are not only yummy, but they are not full of refined sugar and flour. I whipped up the apple pie bars (with the caramel sauce) for our dinner this weekend, and they were pretty much amazing. Chocolate Chip Pumpkin Cheesecake Muffins – these are technically a breakfast dish, but you could totally make them a dessert, especially if you topped them with a little Simple Mills vanilla frosting. I highly encourage you to give some of the recipes above a try. Just because it’s a holiday doesn’t mean you can’t eat real food, pack in veggies, and enjoy your Thanksgiving without feeling like a complete wreck. If you do decide to indulge, enjoy it, but don’t let it continue into Friday, Saturday, and Sunday. We’ve got just over one week until Thanksgiving. Do a few trial runs this week and nail down your menu. Trust me, your family won’t be sad if you test out some healthy Thanksgiving food that tastes amazing. In fact, they might encourage you to stay in the kitchen.